7127 - Rooting : Barber Trimming Shears 4.5"
You'll love these for the preemie size and smaller heads too. 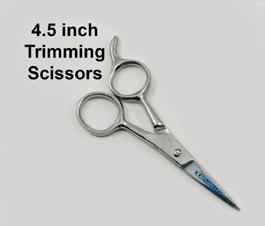 Barber Trimming shears: At only 4.5 inches long these little barber scissors are very handy for delicate trimming and clipping. You'll love them for the preemie size and smaller heads.